but through the merits and mediation of Jesus Christ, thy Son our Lord. Amen. Repentance–national in Hosea 14, individual in Luke 18 and Philemon–is the essence of these readings. And Onesimus may not have been a thief either, according to a close reading of the text. According to tradition, by the way, Philemon heeded the letter’s advice; he freed Onesimus. Both men became bishops and martyrs, furthermore. Tax farming was an inherently exploitative system. Not only did the collected taxes support the Roman occupiers, but tax collectors were not salaried bureaucrats. No, they lived off what they collected in excess of Roman taxes. They were literal tax thieves. The tax collector in the parable knew what he was. He was honest before God as he pleaded for mercy. The Pharisee in the parable was proud, though. As Henry Irving Louttit, Jr., the retired Episcopal Bishop of Georgia, said, the Pharisees were the good churchgoing people of their day. If we churchy people are honest with ourselves, we must admit that we have more in common with the Pharisee than the tax collector of the parable. We make our handiwork–spiritual, more than physical, probably–our idol. Perhaps we imagine ourselves as being better than we are. What would a sequel to the parable have been? Would the tax collector have found a new profession? Would the Pharisee have continued to be insufferably smug and self-righteous? Repentance is active. Grace, although free, is far from cheap. Perhaps it requires one to become a bishop and martyr, or to change one’s career. Certainly it requires one to be humble before God. those who gloat over me when my foot slips. At first glance the readings David Ackerman has appointed for the First Sunday of Advent do not fit well together. However, upon further reflection, one might realize that they do. The message is that we–individuals, institutions, societies–ought to rely on God, not on our own devices. In David 2 we have an interpretation of a dream. There are four successive empires–traditionally Chaldean/Neo-Babylonian, Median, Persian, and Macedonian–of declining value. The fifth in the sequence is the divided empire of the late Alexander the Great. At the end of that sequence, according to Daniel 2, God’s reign on earth will commence. O, if only it had! The Roman Empire is the power in Mark 11. Jesus curses a fig tree for producing no figs. The text notes that this happened outside of fig season. The story, however, is symbolic. It follows directly from the Triumphal Entry of Jesus and wraps around the cleansing of the Temple. The fig tree relates to the Temple. Just as the fig tree is producing just leaves and not small green figs (as it ought to do), the Temple is barren of anything of spiritual worth. The fig tree is also a recurring Biblical symbol of Israel itself, as in Jeremiah 8:13, Hosea 9:10, Joel 1:7, and Micah 7:1. One can therefore reasonably read the cursing of the fig tree as a scathing critique of the religious life of Israel. When we turn to the Church at Laodicea in Revelation 3 we find another scathing critique. The congregation relies on its wealth, not on God, who literally vomits (although many translations render the verb “spits”) that church out. The church has succumbed to the temptation to convert material wealth into an idol. The text from Psalm 38 explains itself. Those insights tell us both individually and collectively not to trust in military forces, in governments, in wealth, or in imagined righteousness when we ought to acknowledge our complete dependence on God. To do anything other than to rely completely on God is to commit idolatry. That is a difficult and strong statement, I know. I also acknowledge that I have long been guilty of this idolatry and continue to be so. I confess this sin here, in this post, readily. Fortunately, grace abounds, so all of us have hope. The reading from Hosea is interesting. Thematically it is similar to the assigned portions from the Book of Psalms, with the exception that exile would certainly occur but that return will follow it. The rub, so to speak, is that Hosea 14 refers to exiles returning from captivity in the Neo-Assyrian Empire, not the Chaldean/Neo-Babylonian Empire. The prophetic book refers to the Ten Lost Tribes. Genetics and cultural anthropology have revealed the locations of those tribes, from South Africa to Afghanistan. Although some members of this diaspora have emigrated to the State of Israel, most have not. The fulfillment of this prophecy resides in the future. Jesus is about to die in John 16. Nevertheless, future joy is on his mind. As one reads, that joy will be complete, by the power of God. In God one will find deep joys that people are powerless to take away. Joys–fleeting and timeless–seem off the table in the reading room from 2 Corinthians. St. Paul the Apostle spends time attempting to soothe the hurt feelings of some overly sensitive Corinthians, who have mistaken his kindness for an insult. Eventually he makes the point that faithful Christians are the aroma or fragrance of Christ–the scent produced by the burning of incense in worship. People, depending upon how they respond to this aroma, will go onto either salvation or destruction. St. Paul turns a metaphor on its head in 2:14. The triumphal procession is a reference to a Roman military procession following a conquest. Victorious soldiers and defeated prisoners, led either to death or slavery, were participants in such a procession. But in which category does one find oneself–soldier or prisoner? Is Christ the victorious general in the metaphor? St. Paul argues that point of view. Christ, whom the Roman Empire executed as a threat to national security, is like a victorious Roman general leading Christian forces in triumph and glory. That is an intriguing metaphor from St. Paul. I am uncertain what Jesus might have to say about it, had someone suggested it to him. Christ was (especially in the Gospels of Mark and John) a powerful figure, but he declined to accept the definition of himself as a king, at least in conventional human terms. As he said, his kingdom was not like any earthly kingdom; the two were, actually opposites, as he said. Also, the image of Christ leading conquered people to death or slavery does not sit well with me. I do, however, like the reminder that Christ proved victorious over human evil. That is a worthy theme for the Second Sunday of Easter. O God, rich in mercy, you look with compassion on this troubled world. truly, my hope is in him. my stronghold, so that I shall not be shaken. God is my strong rock and my refuge. pour out your hearts before him, for God is our refuge. Trusting in wealth, not God (James 5, Matthew 19). One might notice that four of the five sins are collective and that the fifth sin has both collective and individual elements. This is a partial list of sins, of course, but it is a fine beginning to one’s process of spiritual self-examination or another stage in that process. Does one have hubris? If so, that is a sin. Does one participate in collective hubris? If so, one needs to confess and to repent of that sin. One can repeat those forms of questions for the remaining four items on the list above. Protestantism, for all of its virtues, does place too much emphasis on the individual and too little stress on the collective elements of spiritual life. May we strive to seek the proper balance between the two and succeed, by grace. and your grace waters our desert. sending his mighty power which always saves. but for our part we draw attention to the LORD, our God. but we will rise and continue on our way. he answers us when we call. The book of the prophet Habakkuk wrestles with the difficult question of suffering and the seeming triumph of evil in the context of the existence and character of God. The conclusion of that text of the evil will not evade the consequences of their wicked actions and that God will triumph in the end. That summary applies well to the pericope from Luke 18, a prediction of Christ’s crucifixion and resurrection. I am old enough to remember the latter phase and the end of the Cold War. I am not naive. The Cold War was a dangerous time during which the human race almost faced the ravages of atomic warfare on many occasions, most of them not in the realm of common knowledge. Although the leaders of the two blocs were not suicidal, human frailties came close on many occasions to rendering much of the planet uninhabitable. Yet the Cold War world was stable compared to the current reality, which comes with many suicidal terrorists. “O Death, where is your victory? O Death, where is your sting?” The sting of death is sin, and sin gains its power from the law. But thanks be to God! He gives us victory through our Lord Jesus Christ. The Classic Theory of the Atonement has inspired Christianity-based movements for social justice. It has been apparent in the writings of great men such as Archbishop of Canterbury William Temple (1881-1944) and the Reverend Doctor Martin Luther King, Jr. (1939-1968), who sought to defeat institutionalized evil in their societies. The victory of God will occur in time, if not according to any of a host of human schedules. God is never late, but we mere mortals are frequently impatient. That lack of patience is often understandable, but that fact does nothing to change the reality that God is never late. and you invite us to respond to your love with faithfulness. you love righteousness and hate iniquity. 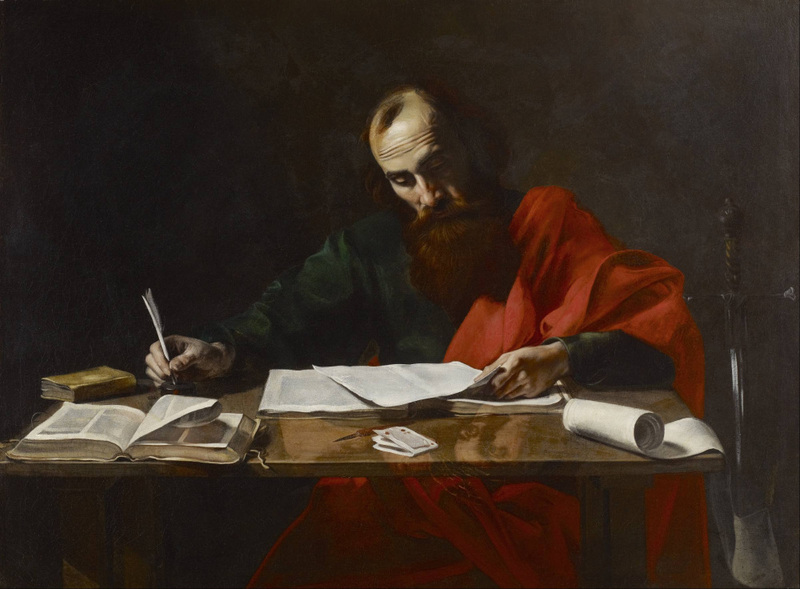 The arrangement of 2 Corinthians is not chronological, so Chapter 11 is part of a painful letter which St. Paul the Apostle wrote prior to Chapters 1 and 2. The tone of Chapters 10-13–scolding and sometimes threatening (as in 10:6)–comes from a place of disappointment. Sometimes a scolding is appropriate, for it can bring us back to our senses. Underlying the scolding is hope that it will have a positive effect. Hope of return and restoration drives the conclusion of the Book of Hosea. God is willing to forgive Israel, a nation, which God calls to repent–to change its mind, to turn around–and to accept God’s generous love. Because of our recent series of unexpected misfortunes and set-backs, my dear friends, we feel there has been some delay in turning our attention to the causes of dispute in your community. We refer particularly to the odious and unholy breach of unity among you, which is quite incompatible with God’s chosen people, and which a few hot-headed and unruly individuals have inflamed to such a pitch that your venerable and illustrious name, so richly deserving of everyone’s affection, has been brought into such disrepute. When God calls us to repent–even scolds us–may we respond more favorably.